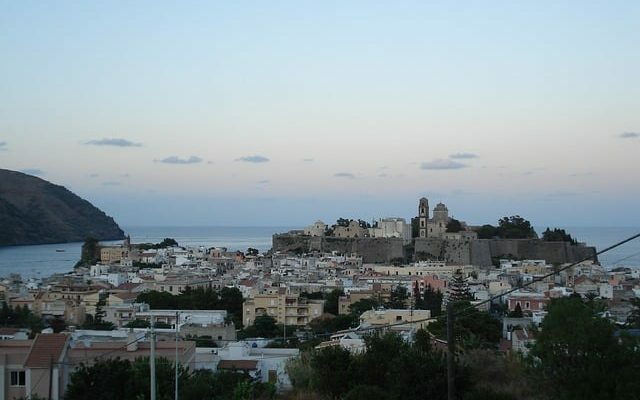 When is the Best Time to Visit the Aeolian Islands? 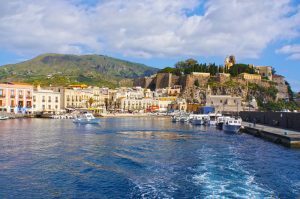 Scattered just off the coast of Sicily and blessed with long summers of sunshine, the Aeolian Islands are an ideal destination for a Mediterranean yacht charter. Promising active volcanoes and endless blue-green coves, a yacht charter in the Aeolian Islands offers a stunning combination of powder white beaches and rugged cliffs, sleepy medieval villages and glamorous rooftop terraces. This is a land of immense contrasts, where the arid, volcanic beauty of the coast gives way to primeval rainforest up in the mountains of Lipari, and where vineyards and lemon groves grow on steep terraces above the sea. 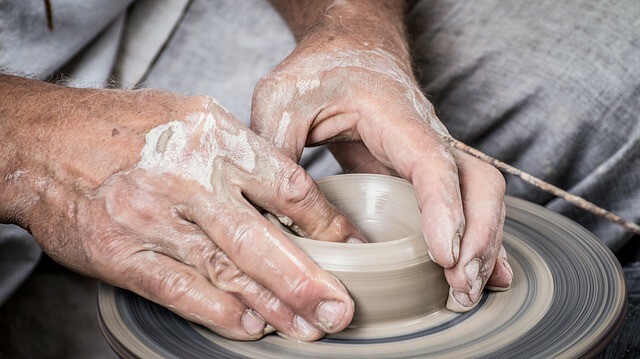 On charter in the Aeolian Islands, superyachts drop their guests in marinas where donkeys are still the only form of island transport, and diners can choose between high gastronomy in Michelin star restaurants or the delicious simplicity of Sicily’s ‘cucina povera’. An Aeolian Islands yacht charter creates endless memories of adventure, fine food, and indulgence, passing long blissful days by the sparkling sea. 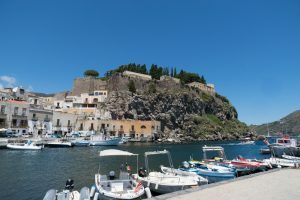 The Mediterranean yacht charter season is in its height in July and August, but given the warm climate of Sicily, Aeolian Island yacht charters begin in late spring and carry right through to October. 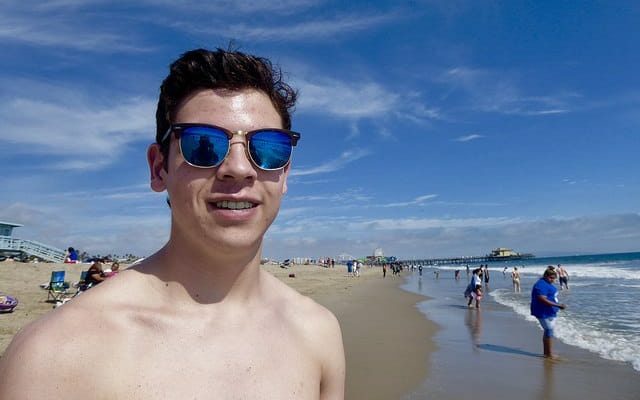 Those cruising in the early or late season should be advised that a lot of venues close when the summer season ends in late September, and often don’t reopen until April or May. Imagine dining at anchor as Stromboli volcano throws red lava into the darkness. One of the most active volcanoes on the planet, there is a reason it is referred to as the ‘Lighthouse of the Mediterranean’ and at night its eruptions can be viewed from great distance. Have lunch on deck off Lipari before diving off the swim platform to swim ashore at Spiaggie Bianca, where the defunct pumice mine has created dazzling landscape of blinding white sands edging turquoise seas of almost unimaginable clarity. 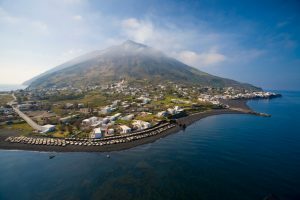 Spend some time on film-set beautiful Salina Island, where the picturesque anchorage at Pollara is the perfect spot for watersports, while the island’s interior offers wineries, an ancient fern forest, and a spectacular hike to a volcanic crater. On Vulcano, bathe in milky-white mud pools or stand on the edge of an active volcanic crater, then dine in style at Il Cappero Ristorante, a Michelin star restaurant inside the Therasia Resort Sea & Spa with a drop dead gorgeous view across the Aeolian archipelago. The superyachts gather off Panaraea in high summer, where boutiques line the cobbled, flowery lanes of San Pietro, and the party goes all night at the exclusive terrace of Hotel Raya. The island also offers endless pretty coves for swimming, diving and snorkelling. For tranquil solitude on an Aeolian Islands yacht charter, the islands of Alicudi and Felicudi call your name. These islands are like passing back in time, with donkeys roaming cobbled lanes and long uninhabited coastlines of secluded anchorages set beneath magnificent cliffs. This summer, float through the Aeolian Islands on M/Y JAJARO, a glamorous 31m superyacht with a top speed of 22 knots. 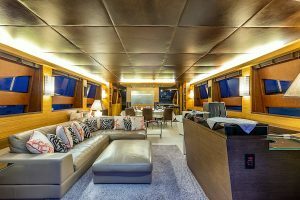 This stunning planing yacht features a stylish contemporary interior of leather and walnut, with accommodation for eight guests in four staterooms. Out on deck, the yacht features two main dining and entertaining spaces, with a dining table and large sun lounge area on the aft deck, and an additional table and sunpad setting on the foredeck. The yacht’s swim platform is the perfect place to launch off on M/Y JAJARO’s watertoys, which include a Seabob, paddleboard, dive gear and waterskis. M/Y JAJARO is run by a professional crew of four with extensive experience cruising the Aeolian Islands, and is available for charter from 49,000 per week, excluding VAT and expenses.